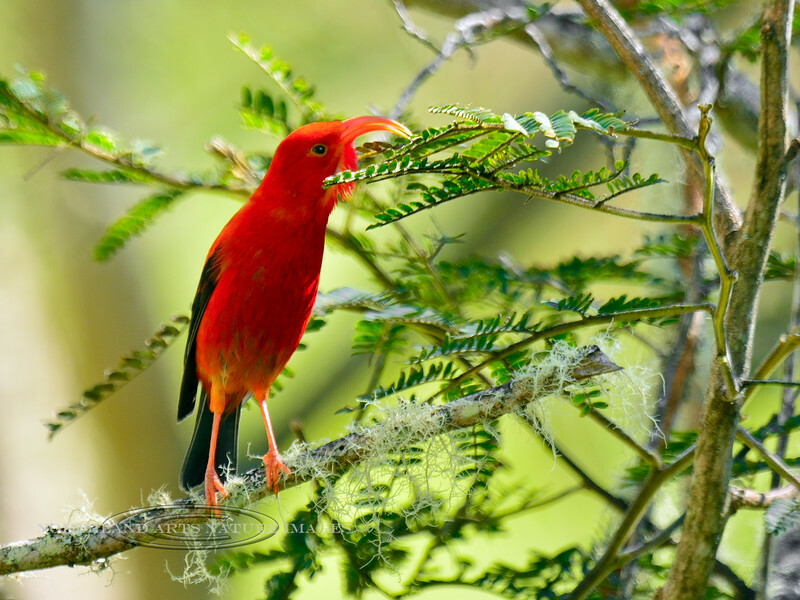 'I'iwi. An endangered endemic wet forest Honey Creeper. Hakalau Forest, Mauna Kea, Hawaii. 3x4 ratio format.